Sun-Maid Milk Chocolate Raisins Conbox - 3.5 Oz. Candy Watermelon Sour - 5 Oz. Candy Sour Lemonade - 5 Oz. Candy Green Apple Sour - 5 Oz. Candy Wildberry Sour - 5 Oz. Sour Jacks Original Sour Candy - 5 Oz. Watermelon Clip Strip - 5 Oz. Sour Jacks Wildberry Clip Strip - 5 oz. Gummi Factory Gummi Fun Mix Gummy Party - 5 Oz. Original Gummi Fun Mix Seriously Sour Candy - 5 oz. Gummi Factory Gummi Fun Mix Sour Party - 5 Oz. Gummi Factory Gummi Fun Mix Soda Pop - 5 Oz. Gummi Factory Gummi Fun Mix Fruit Ring - 5 Oz. Fruit Snacks Strawberry Clip Strip - 5 Oz. Fruit Apple Orchard Medley Snacks - 5 Oz. Fruit Island Snacks - 5 Oz. Fruit Berries and Cherries Snacks - 5 Oz. Fruit Concord Grape Snacks - 5 Oz. Strawberry Fruit Snacks - 5 Oz. Tangy Fruit Snacks - 5 Oz. Mixed Fruit Snacks - 5 Oz. Welchs Fruit Snacks Island Fruits Clip Strip - 5 Oz. Welchs Fruit Snacks Super Fruit Mix - 5 Oz. Fruit N Yogurt Blueberry - 4.25 Oz. Fruit N Yogurt Cherry - 4.25 Oz. Fruit N Yogurt Strawberry - 4.25 Oz. Welchs Fruit Rolls Strawberry - 0.75 oz. Sun-Maid Milk Chocolate Raisins Reseal Standup Bag - 9 Oz. Welchs Fruit Snacks Mixed Fruit - 0.9 Oz. Island Fruit Resealable Snacks - 8 Oz. Fruit Mixed Resealable Snacks - 8 Oz. Welchs Fruit Snacks Reduced Sugar Mixed Fruit - 0.8 Oz. Milk Chocolate Raisin Clip Strip - 5 Oz. Fruit Mixed Fruit Snacks - 0.9 Oz. Berries and Cherries Fruit Snacks - 9 Oz. 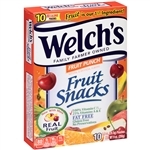 Welchs Fruit Punch Fruit Snacks - 9 Oz. Welchs Tangy Fruits Fruit Snacks - 9 Oz. Welchs Apple Orchard Medley Fruit Snacks - 9 Oz. Welchs Fruit n Yogurt Strawberry - 0.8 Oz. Fruit Strawberry Snacks - 0.9 Oz. Island Fruit Snacks - 0.9 Oz. Mixed Fruit Snacks - 0.5 Oz. Island Fruit Snacks - 2.25 Oz. Fruit Strawberry Snacks - 2.25 Oz. Fruit Mixed Snacks - 2.25 Oz. Berries and Cherries Fruit Snacks - 2.25 Oz. Welchs Fruit Snacks Tangy Fruits - 2.25 Oz. Welchs Fruit Snacks Fruit Punch - 2.25 Oz. Welchs Fruit Snacks Concord Grape - 2.25 Oz. Welchs Fruit Snacks White Grape Raspberry - 2.25 Oz. Welchs Fruit Snacks Apple Orchard Medley - 2.25 Oz. Gummi Bears - 4.5 Oz. Original Sour Candy - 0.9 Oz. Watermelon Sour Candy - 0.8 Oz. Nuclear Sqworms Sour Neon Gummi Worms - 0.8 Oz. Welchs Berries and Cherries Fruit Snacks - 0.9 Oz. Welchs Apple Orchard Medley Fruit Snacks - 0.9 Oz. Welchs Reduced Sugar Mixed Fruit - 1.5 Oz. Sour Jacks Watermelon and Wildberry - 0.8 Oz. Fruit Snacks Mixed Fruit - 0.9 Oz. Welch's Fruit Snacks Berries and Cherries School Compliant - 1.55 Oz. Welch's Strawberry Fruit Snacks School Compliant - 1.55 oz. Welch's Mixed Fruit Snacks School Compliant - 1.55 Oz. Mixed Fruit Snacks - 1.75 Oz. Sour Jacks Original Candy- 2 Oz. Nuclear Sqworms Gummi Worms Sour Neon - 2 Oz.